I would like people to write letters, and send emails to the JFK Library and ask them to consider Rep. Raul Grijalva for a Profile in Courage award. Rep. Grijalva is standing up for justice, liberty and the fundamental principle of due process as he denounces Arizona's new anti-immigration law. This new law allows and encourages police to stop and question anyone they think may be an illegal alien. This law encourages ethnic profiling. This law encourages xenophobia against anyone who looks Hispanic or Latino. This law is based on racism and hate. Rep. Grijalva is calling for an economic boycott of his own state in reaction to the passing of this law. 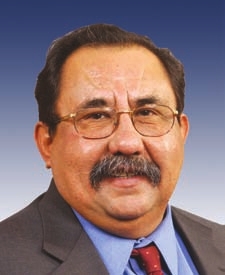 Bravely, Rep. Grijalva and his supporters are not backing down. Rep. Grijalva's call for an economic boycott is catching on. Conventions are being canceled.